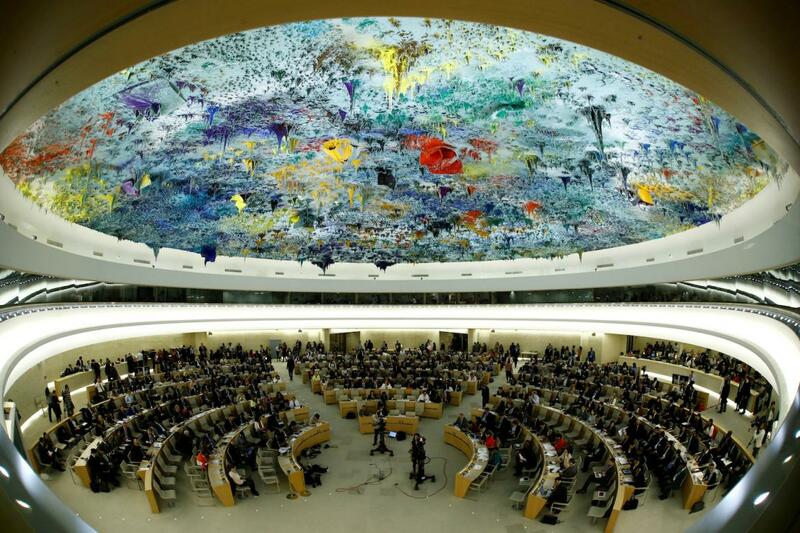 GENEVA — China said on December 6 that a United Nations resolution expressing grave concern over widespread abuses committed against Myanmar's Rohingya community "cannot help to ease the tensions and solve the problem". The comment came a day after China voted against a resolution at the UN Human Rights Council that said abuses against the Rohingya indicated "the very likely commission of crimes against humanity". "It will probably complicate the issue and have some negative influence on implementing the repatriation agreement between Myanmar and Bangladesh," Chinese foreign ministry spokesman Mr Geng Shuang said during a regular press briefing in Beijing, referring to a bilateral deal signed in November for the return of the Rohingya to begin within two months. "This is not in the interest of Bangladesh, Myanmar or the international community,” Geng said. China was one of only three countries that opposed the resolution, which passed on December 5 with 33 of the council's 47 member states voting in its favour. An army-led crackdown in northern Rakhine State after Islamic extremists attacked security posts in late August has forced about 626,000 people to flee across the border to Bangladesh and left hundreds of villages burned to the ground. Myanmar's military vehemently denies accusations by the UN and the United States it has committed ethnic cleansing against the Rohingya. Addressing the special council session on December 5, UN High Commissioner for Human Rights Mr Zeid Ra'ad Al Hussein went further by suggesting that "elements of genocide may be present". Chinese foreign minister Mr Wang Yi visited Myanmar and Bangladesh last month, proposing a "three-phase solution" beginning with a ceasefire in Rakhine, followed by continued talks between the countries and concluding with a long-term solution focused on poverty alleviation. The proposal was "warmly received by relevant parties," Geng said on December 6. During a visit to Beijing early this month, State Counsellor Daw Aung San Suu Kyi met President Xi Jinping and attended a global meeting of political organisations hosted by the Communist Party of China.